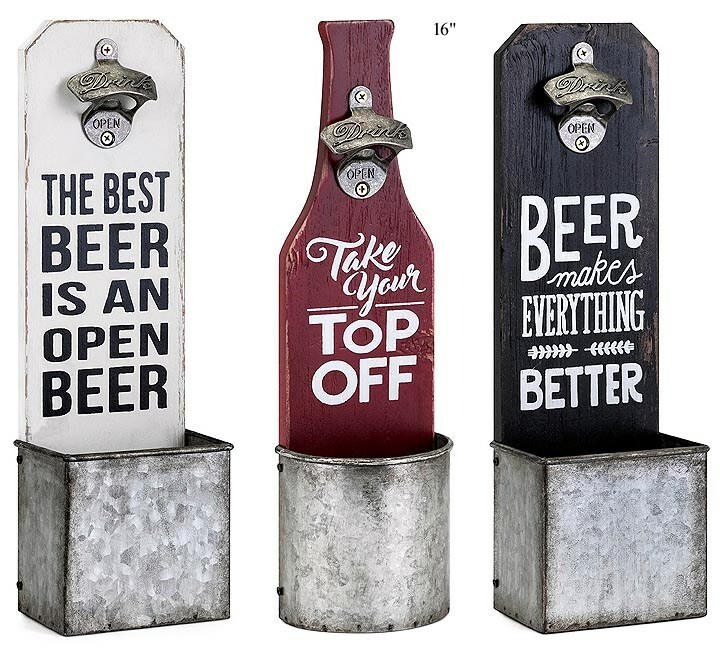 Beer Wall Plaque with Opener - 15.75"
For beer lovers, this set of three beer plaques is simply ideal. 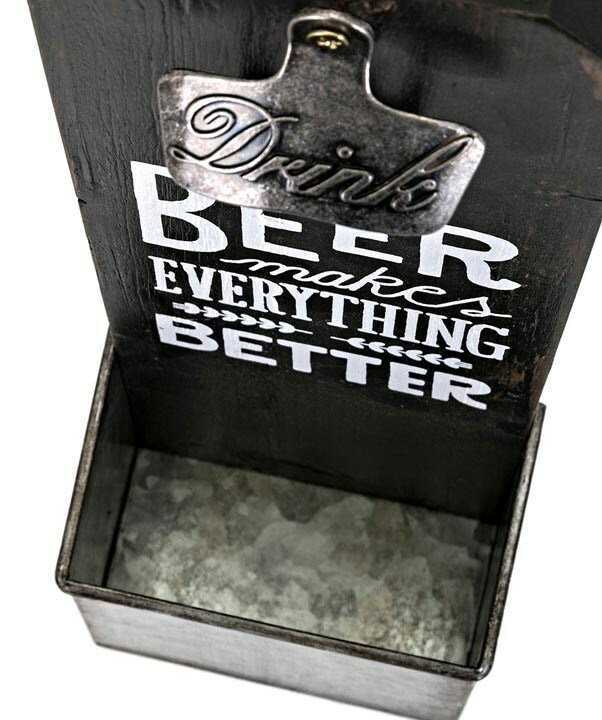 It features white, red and black panels crafted in fir wood, all designed with a beer-related quote. Each piece is also constructed with an iron beer bottle opener and an iron bottom storage container which provide added convenience. Display these beer plaques together for an artful contrast and to create a striking focal point.